We all know that words matter -- in life, but also in marketing. When it comes to landing page copy, many a debate have begun over which words to choose, the context in which they're used, the order they're presented in and the amount you use to convey a message. 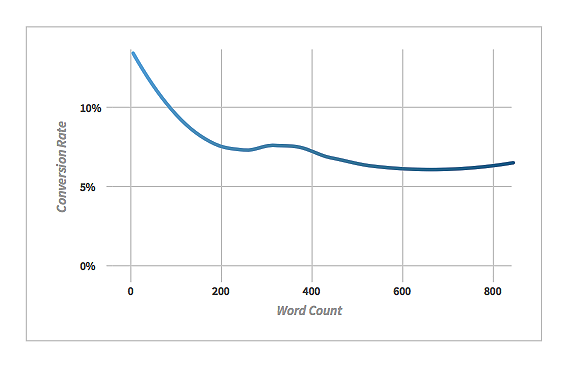 "Shorter is always better -- no one has the attention span to read hundreds of words!" 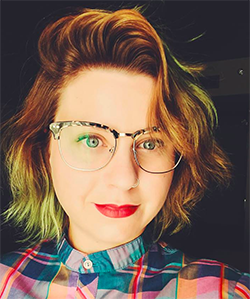 "Longform pages get better results!" "Use fear to persuade readers to act! "Forget fear, pull at their heartstrings!" 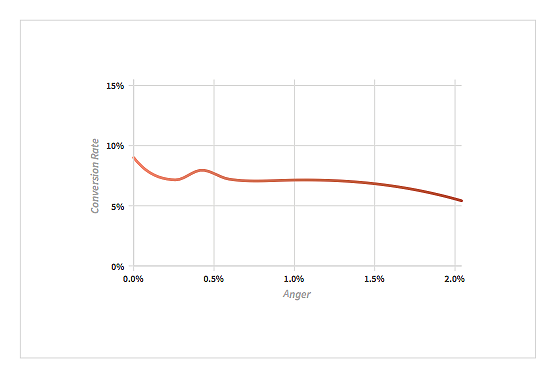 They looked at eight basic emotions (anger, anticipation, disgust, fear, joy, sadness, surprise and trust) and analyzed how copy associated with these emotions affected user behavior. 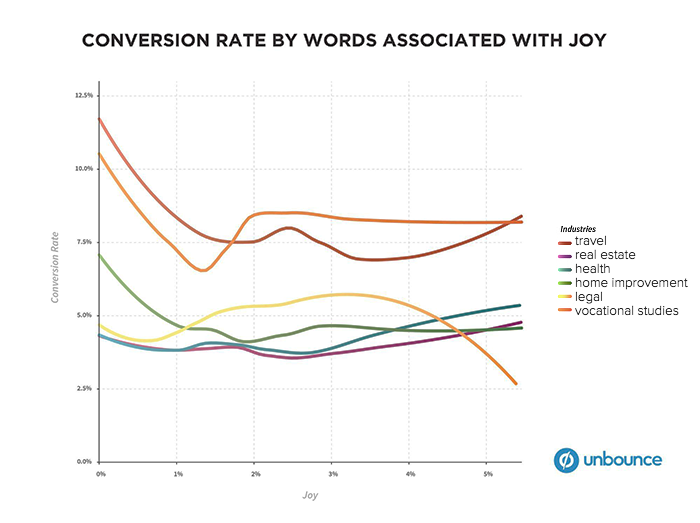 Specifically, they looked at how language associated with these emotions correlated with the number of users who converted on a page. 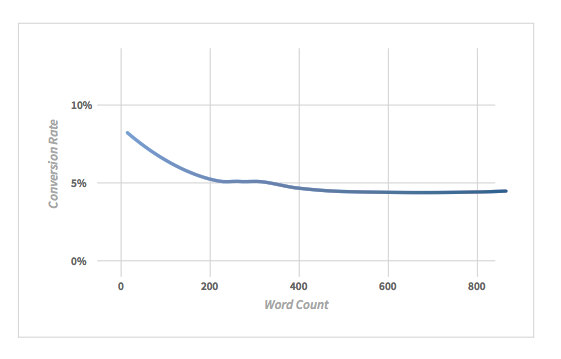 Not only that, they looked at how word count affected conversions -- helpful for marketers and copywriters alike. Some of the keywords that evoke fear or anger include: "limited," "money," "hot," "desert," "endless," "challenge," "treat," "fee," "rail," "bear," "buffet," "bang," "cash" and "despair." On the opposite side of the spectrum, words that established trust include: "enjoy," "secret," "top," "guide," "save," "personal," "spa," "policy," "provide," "star," "award," "friendly" and "recommend." Keep in mind, though, this data was generated by an algorithm, so if you're using it as a jumping off point for optimization, use your best judgement. 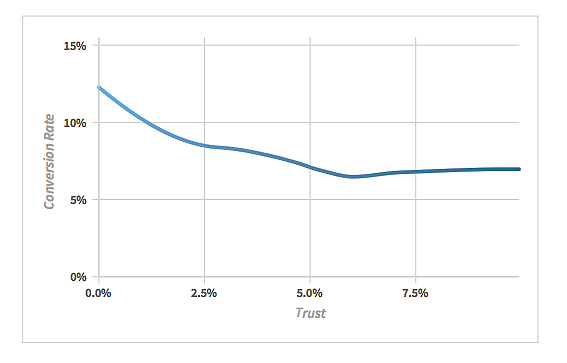 Whether or not this has any impact on conversion rates, we'll never know for sure. 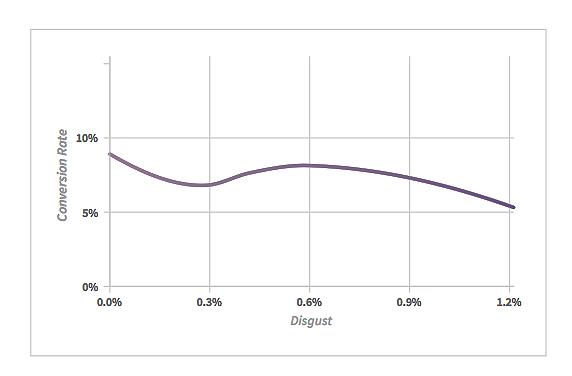 What we do know, however, is that you should probably avoid words associated with disgust. The study found that words like "blame," "cheat," "collapse," "disaster" and "offend" tend to negatively affect conversions. So, certainly don't be liberal with the scary words, but you might see improvement with a little peppering here and there. 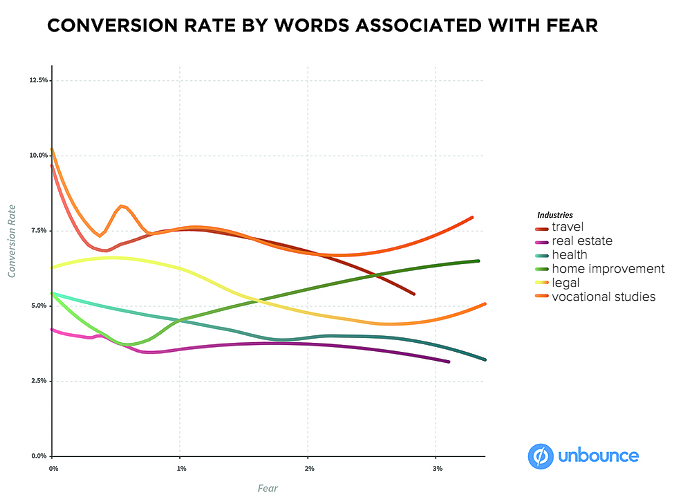 And when you're considering words to cut or keep, keep in mind that words that evoke trust may have a positive effect on your conversion rates. The caveat? You have to be extremely trustworthy, meaning more than 8% of your language needs to imply trust -- words like "leading," "compliance," "account," "powerful" and "maintenance." 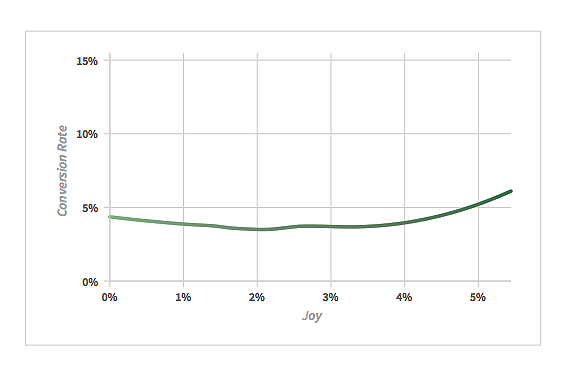 Advancing one's education is a beautiful thing, so it's no surprise that words associated with joy correlated with higher conversion rates on average in the Higher Education industry. Words associated with joy commonly found on Higher Education pages include "scholarship," "graduation," "share," "succeed," "success" and "excellence." The study showed that words which reinforce a sense of trust should be used strategically and sparingly -- for up to 3% of your copy. 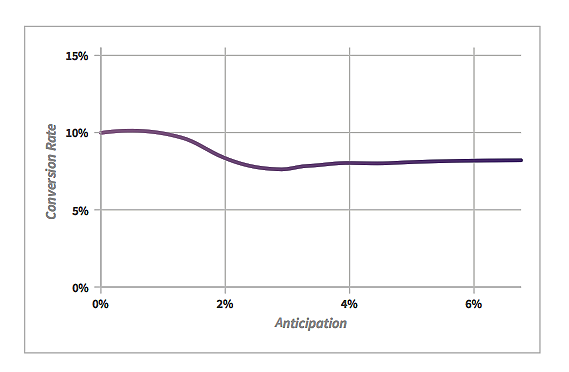 Anything beyond that resulted in up to 10% lower conversion rates. Among the common words associated with trust in Credit & Lending were "advice," "pay," "cash," "lender," "law," "fixed" and "council." If you work in the Business Consulting industry, you may think that words like "predict," "attainable," "achievement," "exceed" and "excel" help hype your offering, but your audience may perceive these as empty buzzwords. When it comes to writing marketing copy that converts, no word should be selected without a purpose in mind. 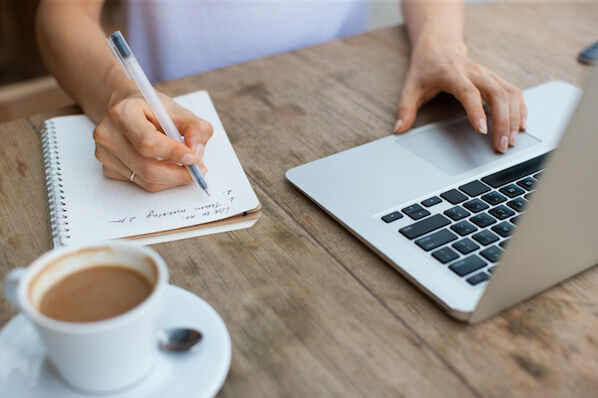 As you build your landing pages, make sure you're giving extra consideration to how each and every word will affect your target audience and influence conversions.